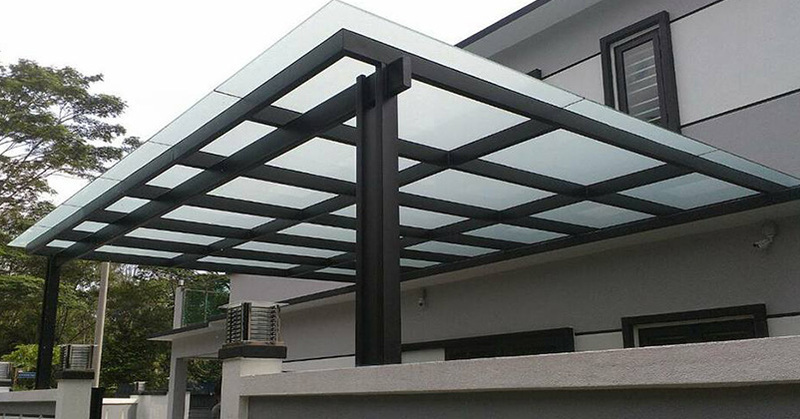 is a professional manufacturer of awning, roofing and safety glass pergolas. Our display room and factory are located in Seri Kembangan, Selangor, Malaysia. We have contracted many professional engineering works pertaining to pergolas. Inhome Engineering Works combines pergola and grille artistry with aesthetics to fit your lifestyle, enhancing your home security with style. Inhome’s display room and factory are located in Seri Kembangan, Selangor. Inhome contracts primarily various safety engineering works in which we are the most confident. Reasonable price and quality design! Please contact us TODAY ! Aluminium Composite Panel (Alumbond) are simple & fast in installation, eco-Friendly, great value for price, sound proof, easy to clean and provides great heat insulation. Glass Roofing offers a premier touch to home improvements as it offers a premier. Apart from all the products mentioned above, Inhome Engineering Works also offers a wide range of product to suit different needs. Polycarbonate roofing is a reliable and affordable home improvement and commercial use option to provide stylish and quality furnishes to the property.